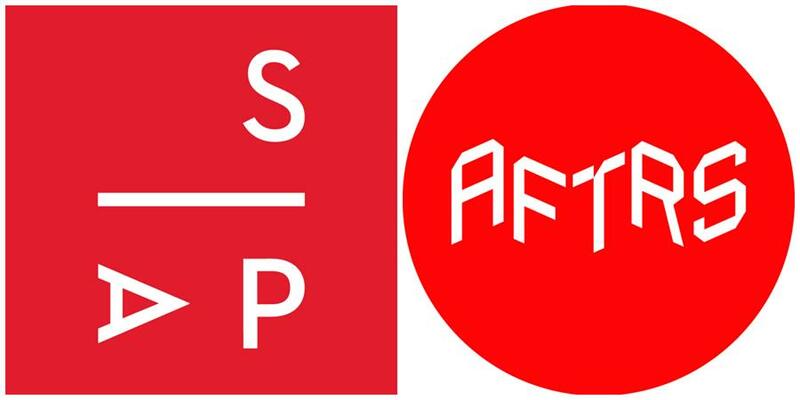 Applications are now open for Business Essentials II, a full day, advanced workshop to be held in Brisbane on Monday 19 March, presented by Screen Producers Australia (SPA), the Australian Film Television and Radio School (AFTRS), and in partnership with Screen Queensland (SQ). SQ will fully subsidise* 30 places for experienced Queensland producers to attend Business Essentials II. The workshop will be held at SQ’s head office in Newstead Brisbane and travel assistance will be provided to successful applicants from regional Queensland. The course will be facilitated by SPA Commercial and Industrial Affairs Consultant Owen Johnston and feature special guest speakers including leading screen startup and entrepreneurial leadership specialist and producer, Kylee Ingram. Kylee was recently appointed Entrepreneur in Residence at Southern Cross University’s Enterprise Lab and has been tasked with building capacity around entrepreneurship in this part of regional Australia. At the end of the workshop, Nathan Mayfield, Chief Creative Officer and co-founder of Hoodlum, an Emmy® and BAFTA Award winning Entertainment Company, will take part in a candid Q&A where he will share insights about running a successful screen business. > Business Essentials II is the second in a series of intensive workshops (with the first held in September 2017) and is targeted at experienced producers who are looking to build their entrepreneurial acumen and develop, produce and succeed in the screen industry. > The advanced workshop will feature a selection of special guest speakers drawn from the business development, legal and production sectors, and policy and screen agency executives. > Business Essentials II entrepreneur module to encourage innovative thinking and adaptive approaches for producers competing in a global and commercial market. > The workshop will include advice on how to develop entrepreneurial mindsets and clearly define what it is you are trying to build and help you identify and pitch projects to partners and investors as well as providing a range of entrepreneurial tools designed to refine your idea or business model and identify opportunities for funding and moving forward. > The new Business Essentials II modules will be delivered by leading screen start-up and entrepreneurial leadership specialist and producer Kylee Ingram. Given the advanced level of the workshop, experienced producers and those that attended the first Business Essentials workshop in September 2017 are strongly encouraged to attend. • Who’s who in the buyers’ space. Australian commissioners and what they are looking for. 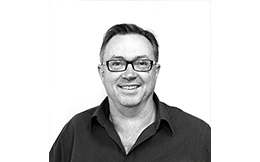 Owen Johnston has worked for Screen Producers Australia for over a decade in both policy and industrial relations. Owen has produced feature films, documentaries, television drama, and commercials and is a former Director of Film Development and Marketing at the Australian Film Commission. Kylee Ingram is an Australian born digital content/TV producer and entrepreneur. She has received global recognition for her interactive work. Throughout her career, Kylee has undertaken different business models for her projects. She has been able to raise money from a diverse number of sectors including, government, NGOs, universities, businesses, brands and sponsors. Kylee began her career in TV production with IMG Media and was part of the initial team that grew the Australian company from two to 25 people in two years. Kylee now has fifteen years of experience producing documentaries and media programs throughout Africa, Central Asia, Europe, the USA, Australia and New Zealand. Kylee has produced content for all five free-to-air Australian broadcasters and her shows have been screened in over 100 countries. 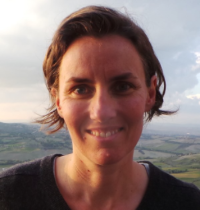 In 2003 Kylee founded Australian Documentaries creating projects for NGOs and government around sustainability with a strong track record creating media for The Red Cross, Amnesty, WWF, The Cancer Council and more. In 2009 Australian Documentaries received the Hot House Grant from Screen Australia and expanded the business. From 2010 to 2012 Australian Documentaries created one of ABC Television’s most successful and highest rating factual series ‘Family Confidential’​. In May 2012 Kylee started a new company Elevator Entertainment to expand her experience in storytelling across a range of different platforms. For the past four years her interactive projects have achieved outstanding international marketplace recognition. Kylee’s leadership in the cross-platform field has been recognised XMedia Lab, iKids Awards, Sports Technology Awards (UK), Login Conference (USA) SXSW and Cannes. Nathan Mayfield is the Chief Creative Officer and co-founder of Hoodlum, an Emmy® and BAFTA Award winning Entertainment Company. Nathan oversees the strategic and creative direction of Hoodlum with his focus on Australian and international business. Pioneering innovative new ways to tell stories since 1999, Mayfield has been the creative force behind Hoodlum’s multiplatform, television series and feature film work. He has worked alongside his co-founder Tracey Robertson to expand the business across the globe and across many different mediums. In 2009, Hoodlum won a Primetime Emmy® for their work on Lost and an International Emmy® for their work on Primeval in 2010. Hoodlum also won two BATFA Awards for Spooks in 2008. 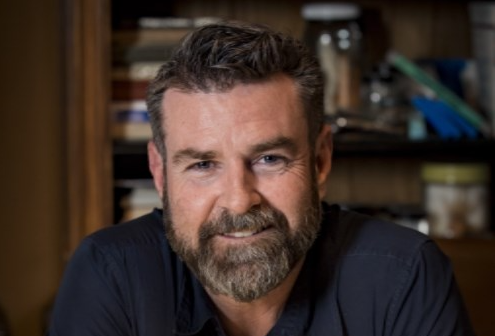 Mayfield produced the ten part series SLIDE for Foxtel, the six-part comedy series The Strange Calls for ABC2 and the six-part crime thriller Secrets & Lies for Network Ten. The series was then remade in the USA for ABC starring Juliette Lewis. In 2017, Nathan produced the feature film AUSTRALIA DAY for Foxtel, released theatrically through Icon Film Distribution and launched a VR documentary, INSIDE MANUS, for SBS. Hoodlum produced HARROW, a 10 part series with ABC Australia and ABC Studios International and is in preparation on TIDELANDS, a 10 part series for Netflix, their first original series for the territory. Mayfield continues to find compelling stories for Hoodlum to produce and strives to lead the way in new forms of delivery. Mayfield is a member of the Screen Producers Association and a member of the International Academy of Television Arts & Sciences and the Australian Academy of Cinema and Television Arts (AACTA). He was recently recognised as an outstanding alumni and made an Adjunct Professor of Creative Industries at the Queensland University of Technology. Nathan’s latest production, Harrow premieres on Friday 9 March at 8:30 pm on ABC and iView. #Harrow. Harrow, from award-winning Brisbane‑based production house Hoodlum, is a fresh twist in the crime‑drama genre with a brilliant forensic pathologist, Daniel Harrow (played by Welsh actor Ioan Gruffudd), solving puzzling cases while harbouring his own dark secret. Filmed in Brisbane and south‑east Queensland, Harrow is a partnership between ABC Australia, ABC Studios International and Screen Queensland. The 10‑part series is co‑produced by Hoodlum Entertainment and is the first international drama production for ABC Studios International. It will be screened nationally on the ABC and across the globe.